Fr. 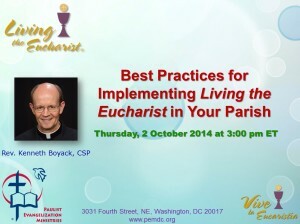 Kenneth Boyack, CSP presents on best practices for Living the Eucharist. Fr. Boyack, CSP and Fr. 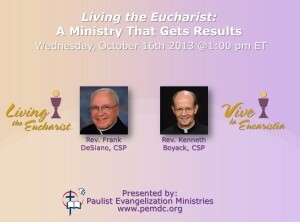 DeSiano, CSP present on how Living the Eucharist can transform your parish. Fr. Boyack, CSP and Fr. 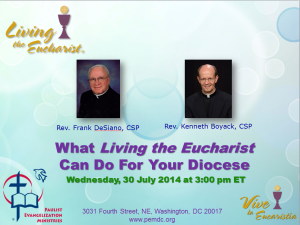 DeSiano, CSP present on how Living the Eucharist can enrich your whole diocese. Parishioners love Living the Eucharist! Watch this webinar to find out why. 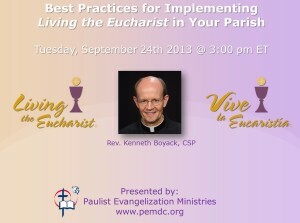 Best Practices for Living the Eucharist.